by Euro store agram nautika d.o.o. Euro store agram nautika d.o.o. 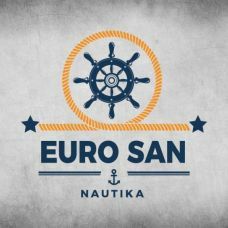 EURO SAN was founded in Jelsa with a goal to give the visitors of island Hvar a pleasant stay and all tourist services in one place. By years of work and constantly upgrading our services, we have expanded our working area on the whole Split-Dalmatia County and part of Dubrovnik-Neretva County. Primary activity of EURO SANautika is rental of boats and services of water taxi transport. With each working year, we expand our services and upgrade them so that we could offer you a complete set of tourist services. Our desire is to fill your vacation with interesting content like active vacation, trips to places that capture the attention of the whole World but are hard to reach and many other excitements.